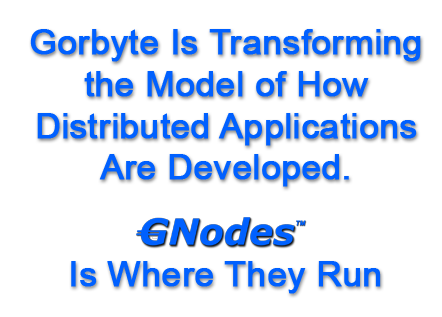 Gorbyte's GNodes is the system software run by each of our users. 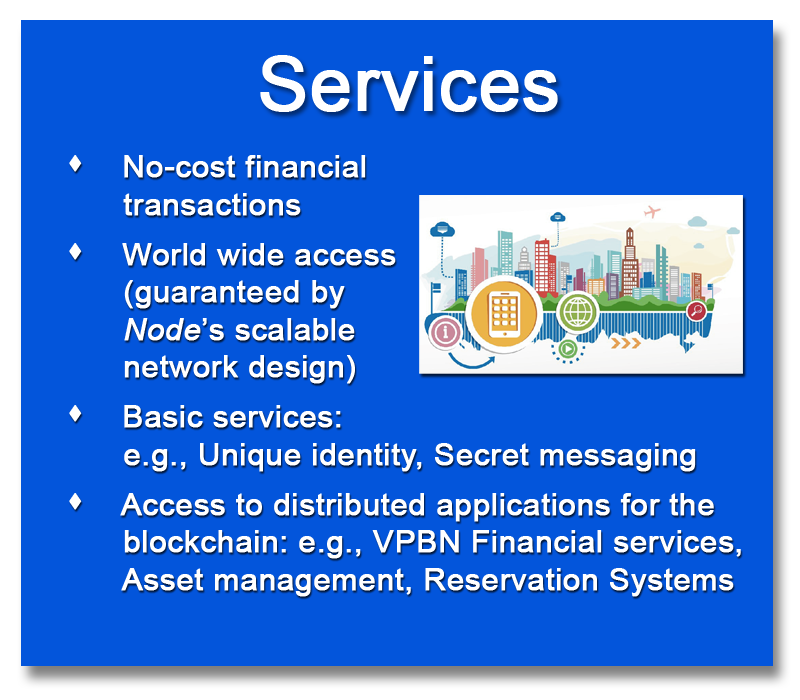 Together, and without intermediaries, these are the nodes of our scalable crypto-network. The verifiable data, stored on the blockchain, is instantly and securely available to users on their devices. 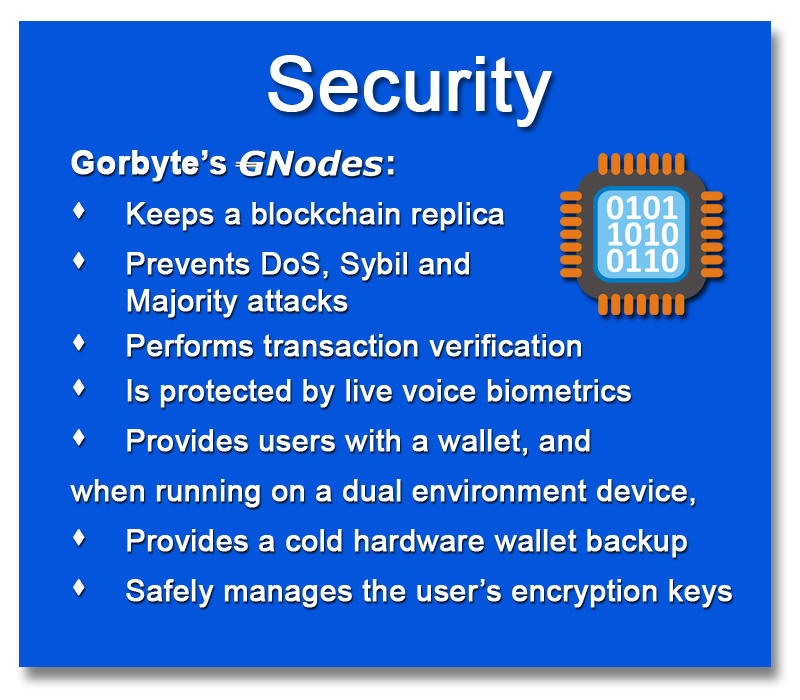 Gorbyte’s GNodes guarantees network security and the security of user information, such as user wallets. the standard operating environment for the applications of tomorrow. 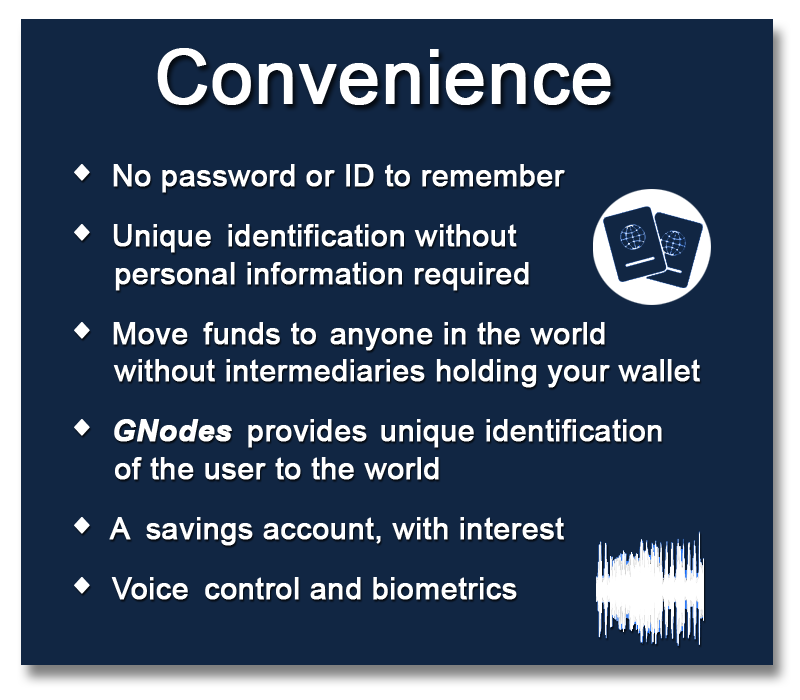 GNodes' majority agreement protocol (MARPLE), together with unique virtual device identification,	registered on the blockchain, make our network scalable, secure and fast. Gorbyte's MARPLE involves every node. The MARPLE protocol succeeds in eliminating intermediaries and attains both scalability and throughput. Gorbyte signed a partnership agreement with DealBox (Carlsbad, CA) to offer a security token on the Stellar network and raise funds for the GNodes project privately and publicly under SEC Reg.D and Reg.S-1 (STO). We are currently offering securities in a Private Sale. If interested in our Private Sale, please contact us by Email. ✔ Gorbyte Founder, Scientist and CEO. ✔ Gorbyte, Director of Engineering. 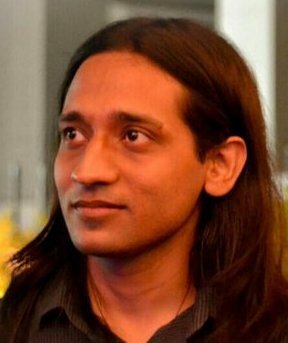 ✔ Gorbyte, Senior Communications Engineer. ✔ Gorbyte, Securities Compliance Officer. ✔ Gorbyte, Governance, Risk and Audit Officer. ✔ Gorbyte, Senior Software Analyst. C.S. Professor at Dalhousie University Halifax, NS, Canada. ✔ Security and reliability advisor. Vencore Labs, NJ, USA; Adj. Prof. NYU Politechnic Institute, NY, USA.  ✔ Security and cryptography advisor. C.S. Researcher, University of Waterloo, ON, Canada. ✔ Network security and cryptography advisor. Senior Consultant at Capco, Toronto, ON, Canada. 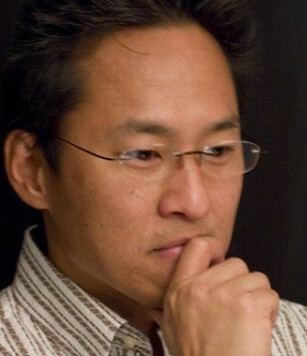 Founder of Logitech, NEATO Robotics, Noventi Ventures, Palo Alto, CA. Former VP Finance, Rogers, cable, Toronto, ON, Canada. Crypto-currency Trader, Toronto, ON, Canada. 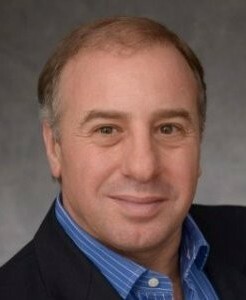 Former Senior Director and GM at Bell Canada, Toronto, ON, Canada. 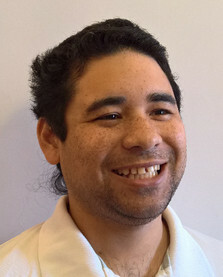 Former Director of Advanced Development, Geac Computers, Toronto area, ON, Canada. Dr. Emin Gun Sirer, Assoc C.S. Researcher, Cornell University Ithaca, NY, USA. Will provide direction on Covenants and Vaults. Social purpose is essential to our business. We personally support the education of children in various developing nations of the world through UNBOUND. ►How can Gorbyte Make a Difference in the World? ►How can Gorbyte Reduce Global Energy Consumption? Our social purpose plan includes delivering free crypto-devices to the unbanked. More than a billion people will soon have internet access through low-orbiting satellites. They will then be able to prove their unique identify and deal with the rest of the	world using GNodes's no-cost basic financial services. Another high priority objective is to create a world wide, de-centralized STEM Education fund for children. (collectively "Gorbyte Canada") are in the business of developing software. The crypto-network software developed by Gorbyte Canada will be licenced, and released as Open Source at the appropriate time. Gorbyte Canada is not in the business of selling, promoting or advising in securities or investments. crypto-network, and reserves its rights to offer license agreements and/or to receive compensation for such future products and services. Gorbyte Canada is not a registered dealer or advisor under National Instrument 31-103 "Registration Requirements and Exemptions". by Gorbyte Canada or any third party. 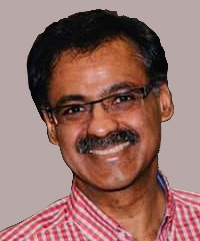 • Received his doctorate’s degree in Computer Science, University of Pisa, Italy, 1973, with a dissertation on his design and implementation of communication software connecting heterogeneous computers (IBM VM-CMS and HP). • Joined the IBM Scientific Center in Pisa to be part of the R&D team that developed the RPCNET network in cooperation with the CNUCE institute of the Italian National Research Council. RPCNET connected for the first time the mainframe computers of four Italian universities. 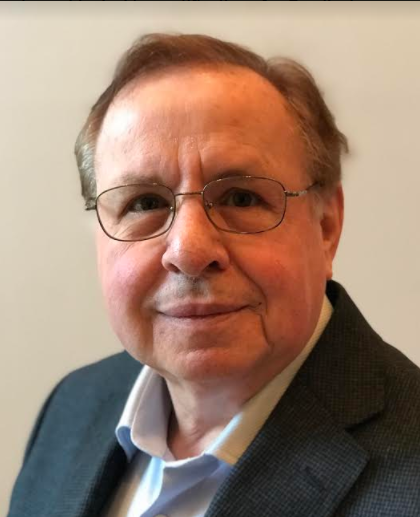 • His work on the development of RPCNET on IBM MVS mainframes was published at the Conference on “Dissemination of Information” sponsored by the IEEE and the ACM (San Marino, 1976). • Was member of first R&D team to develop a peer-to-peer, packet switching network (PISA), alternative to the ARPA network and precursor of the internet (IBM Italy, 1977). 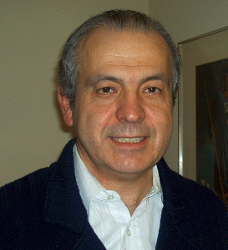 • Was assistant professor of Computer Theory and Application at the faculty of Computer Science, University of Pisa, (1974-1978). • Joined IBM Canada and designed and implemented X.25 packet switching software for IBM Series/1 mini-computers and for IBM 5251 Cluster Controllers using Intel microprocessors (IBM Canada Lab, 1978-1981). ◦ A system of memory optimization for I/O buffers, which was submitted for patent application. ◦ A system of macros to program the Intel 8080 microprocessor with the much more powerful instruction set of the Intel 8086. This was presented at the IBM technical innovation conference in Atlanta, GA.
• Joined Canada Systems Group and designed a model for a Distributed Information Bank: “A Connectivity and Integrity Protocol for a Distributed Information Bank” (Proceedings of Communication in Distributed Systems, Springer Informatik book series, Berlin, 1983). 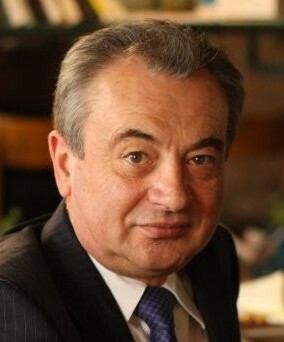 • Joined GEAC Computers and developed the management software for the GEAC communication network. GEAC Computers, at the time was the only Canadian mainframe software and hardware manufacturer. • Was selected as a voting member of the Technical Committee on Open Systems of the Canadian Standards Association. 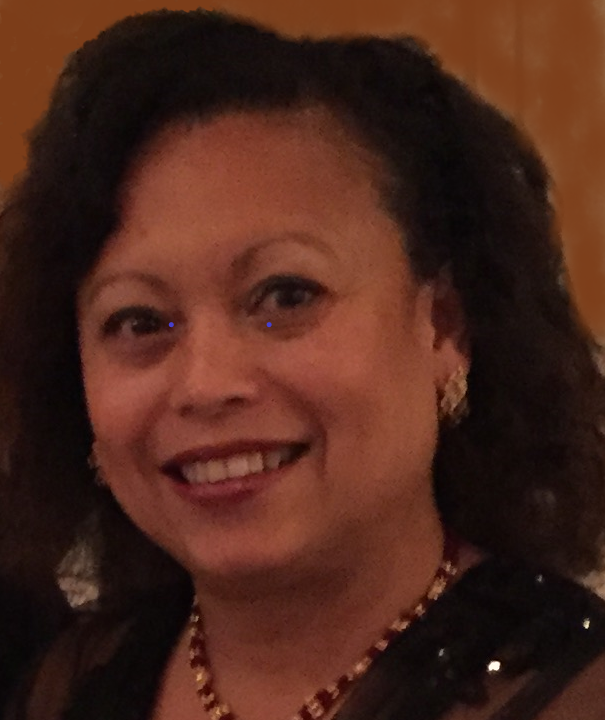 • Represented Canada as a member of the Open System Interconnection Technical Committee of the International Standards Organization (ISO) in global meetings in Sidney, Tokyo, London, Seoul, Ottawa and Florence. 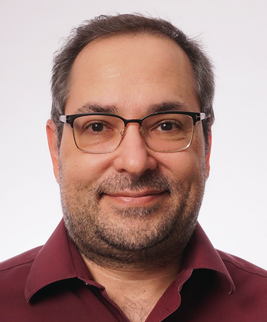 • Was chairman of the ISO Canadian Working Group on Open Distributed Processing - Systems Management, and represented Canada in global international meetings. • Developed, sold and installed PC-Automation, an innovative, real time, memory based, intelligent software system using the C-language. One personal computer controlled the whole assembly line and replaced several low-level language PLC’s (1990). • Was a Visiting Professor, teaching a graduate course on computer communication, at the Faculty of Computer Science, at Western University, London, Ontario. ◦ Troubleshooted their DIVA office automation software based on UNIX (Uniplex) and recommended DIVA’s cancellation. ◦ Traveled to Phoenix, AZ, to evaluate Hypercom, a router manufacturer, and contributed to Bell’s choice of Cisco as a router supplier. • As a consultant to GN Navtel, designed the support software for their family of Sniffer devices, to be used with Integrated Services Digital Networks (ISDN). • As a Consultant to Unitel (now AT&T Canada) Developed a test plan and a test lab for the encrypted network for the National Bank of Canada, including the management of encryption keys. • Co-founder and CTO of INTR, a startup in Mississauga, ON, that developed a Point od Sale touch-screen terminal in partnership with NCR Canada (2001). • Founder and CEO of Central Dynamics, a manufacturing company in the US, that produced and sold the only electronically controlled swimming treadmill on the market (2005). • Was awarded the first prize in 2015 by Innocentive in an international competition for future technology, developing an energy saving and water saving clothes cleaning system. 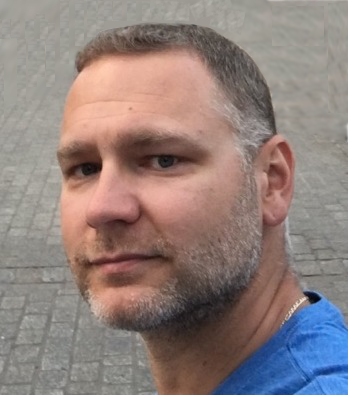 • Designed the only distributed consensus protocol for blockchain networks (MARPLE). Current protocols, such as Paxos, PoW, PoS, etc. are lead-based: One node broadcasts the block to all other nodes. MARPLE involves all nodes and reaches consensus by majority agreement among randomly created and dynamic logical environs (2016). • Created a model for the addressability and unique identification of users, devices and nodes in a public, un-permissioned crypto-network without involving personal information (2017). • Experience in all aspects of Project Management and Quality Assurance for a wide range of computer products, most recently e-Commerce applications and Wireless LAN products. • Led a team of up to 30 professionals responsible to test and release IBM Websphere Commerce Suite, a multi-platform application written in JAVA with several million lines of code. • Developed and implemented software test strategies that were adopted by other IBM Labs including test automation tools. • Panelist in international conferences on best testing methodologies and testing for the internet. • Led teams that developed infrared wireless products and device drivers for both IBM and OEM products. • Successfully managed introduction of IBM wireless technology in Sony digital cameras. • Licensed Professional Engineer in the Province of Ontario. • On contract to the Royal Bank of Canada, designed and implemented the program for regulatory compliance and internal RBC Operational ERM Risk Management. • Lead various international client assignments on ISO 31000, COSO ERM design and Implementation projects. • Designed and rolled out systems for ERM repository of its components. Ongoing ERM monitoring and compliance. Initiatives, projects and ‘effective challenges’. Responsible for TMX Group Insurance program. • Designed and Implemented the TMX Group ERM program for the TMX Group of Companies ensuring consistency with Industry standards COSO and ISO31000 and ensuring compliance with Bank of Canada and OSC Recognition Orders. • Second line of defence deep dive monitoring and challenges of IT developments and SDLC cycles governed by CoBIT, business processes and operational risks management. • Supported TSX Trust risk and control requirements for OSFI licensing project and OSFI CAR assessment and monitoring, prepared responses and reports to support application. Interacted directly with OSFI staff. Conducted detailed analysis of TSX Trust functions to document Risk Control Self Assessments as interim Risk Officer. • Provided thought leadership to continuously upgrading the design of the ERM frame work to ensure these meet foremost COSO Industry standards. • Responsible for enhancements to the ICP quarterly process framework and on-going oversight of the internal control and control environment through the implementation of this program. • Enhanced divisional processes for improvement of internal controls environment. • Designed Key Enterprise Risk methodologies for assessing inherent and residual risks likelihood and impacts on identified operational risks using simulation methods, including montecarlo methods, and various qualitative analytics. • Lead ERM projects CPSS/IOSCO initiatives. • Introduced new techniques for monitoring Operational Risk, KER, and Policy Compliance. Periodically conducted detailed reviews of ICP processes of CDS divisions resulting in major improvements in identification of divisional risks and associated design of internal controls. Provided formal assessments of risks and controls of ICFR and DC&P environments to CEO/CFO to enable quarterly certifications. • Managed Money Markets Project - designed new industry processes and standards for participants. Lead initiatives to successfully address regulatory recommendations. • On contract for the TD Bank and other clients, analyzed complex processes for identifying risks and internal controls. • As a Senior Manager at TMX Group, was responsible for Internal Audit. Made significant Internal audit recommendations of financial risk management processes for credit risk, replacement cost risk, payment risk and liquidity risk (2006-2007). • On contract to Scotia Capital Finance: Commercial Banking and credit risk for lending, delinquencies and provisioning. • On contract as Internal Auditor for Sears Canada. Reviewed controls and processes for its Canadian operations. • On contract as Internal Auditor for Noranda Falconbridge. Reviewed controls and processes for its Canadian operations. • Budgeting, forecasting and monthly reporting and associated variance analysis of Head Office and Administration departments of the Bank of Montreal Wealth Management Group. • Developed Allocation methodology of Head Office and Administration departments and applied this methodology for monthly allocation of costs to the business units. • Administered Variable Compensation of Chairman and Board of Bank of Montreal Wealth Management Group. • Detailed add value internal audit reviews and specific recommendations of lines of businesses processes including credit risk management functions including project analysis, lending criteria, syndication and commercial loans. • As Head of Custodian Services managed a team dealing with clearing house and settlement problems for settling bonds and securities in various world markets. • Implemented and managed operational processes with nearly 50 custodian banks. High-level interaction with senior staff of these banks. • Systems Development from the user specification phase right up to implementation and post implementation reviews of billing system and major bank wide initiative in Client /Server environment for trading to settlement system. • As Senior Internal Auditor, performed risk and control environment assessment and add value reviews of all Insurance and wealth management retail funds. • Extensive use of CAATS on relational database extracts from mainframe. Systems Development and Projects reviews of major IT systems developments. • Audited business and operations departments in accordance with the formal audit plan. • Significant other add-value projects included Risk analysis, Fund manager performance, stock exchange compliance and internal controls; and custodian controls. 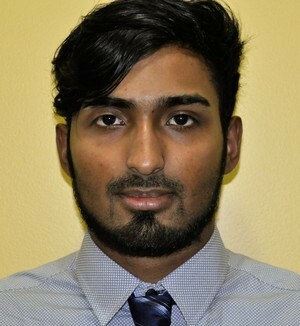 • Qualified as a Chartered Accountant. Conducted audits of mostly multinationals companies including Lloyds of London syndicates, Unilever, ICI, Lonrho and Rank Organisation. BSc Hons Physics, University of London. First Class Hons. Awarded Leo Pincherle Prize in the first and second year and second position in the University of London wide Grenville prize in the Hons year awarded to top graduate. 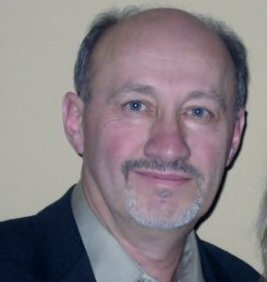 • Ray has exceptional systems analyst with 28 years of experience solving business and process issues through technology. • Has deep knowledge of information systems and application development. • Ray has a B. Sc. in Computer Science from McMaster University. • Owned and operated Bitcoin Miners since 2014. • Developed an IOT device that would allow remote control of 8 Bitcoin miners. This device can remotely power cycle individual miners as reqiured. • Developed a server based miner monitoring application that would periodically poll miners to obtain operational statistics. If miner was idle, an automatic command is sent to the IOT control device to remotely power-cycle that miner. • Understand the cryptocurrency space, able to articulate and consult on different crypto currency systems. • Proposed, designed and implemented several multi-client applications. • Has knowledge and experience with large-scale applications and cloud based technologies. 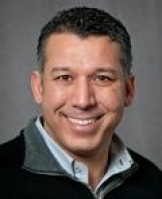 • Has experience with relational databases, database migration and database mapping. • Developed and deployed large cloud based applications servicing thousands of customers. • Has experience with software tools, technologies and languages, Object Relational Mapping tools and Windows/Solaris operating environment. • Re-designed document production process at leading Canadian retailer. • Worked in a multi-developer environment, to create n-tier webbased applications and used project management. • Used Bitbucket, GitHub and GitHub Issues to manage other web-based, multi-developer projects. • As the lead developer on a US lawyer web project, using Microsoft Project, managed and liased with other developers to coordinate thier efforts to complete critical milestones on time and in budget. • Used analytical and problem solving skills to identify and resolve existing and potential systems issues and perform threat and risk assessments and business impact analyses for various clients. • Over 10 years as a Xerox System Analyst, providing pre and post sales support for digital imaging sales force. Gave demonstrations, presentations, lectures to clients. Provided training to the same clients when they purchased the recommended solution. 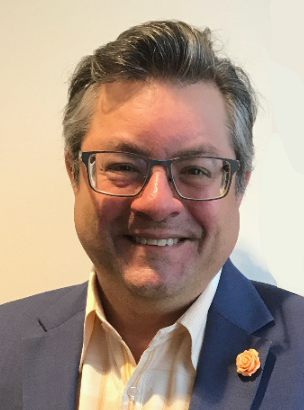 • As Senior Corporate Auditor for the Canada Revenue Agency, James Cappa was involved in the audit and enforcement of the Income Tax Act concerning Aggressive Tax Planning arrangements. • Was responsible for implementing a review of Public Corporation elections filed across Canada and verifying that the documentation filed was in accordance with Income Tax Regulations. • Documentation reviewed included "Offering memorandums"[OM], exempt status documentation, the election to be a Public Corporation and shareholder lists. • In particular determined that the "OM" was filed with the securities commission together with pertinent documentation. The OM document was reviewed in depth with tax ruling authorities to confirm it is similar to a prospectus for the purpose of issuing shares to the public. • Reviewed the Sedar filing system to confirm filings with respect to financings by such corporations. • Aggressive tax planning schemes were reviewed concerning the usage of the aforementioned Public Shares and to determine the eligibility of the shares for deferred income plans [RRSP's, Pension plans]. • Issues reviewed concerned the valuation and manipulation of share value and the authenticity of the business venture itself. • Shareholder lists were reviewed to determine that shareholders were "accredited investors". • The review of the shares issued by Public Corporations for the purpose of raising funds at times involved contact with pertinent Securities Commissions across Canada. ● Designed the architecture for unocoin upcoming trading website and mobile applications for India and Canada. ● Designed and developed Ethereum and IPFS based POC application. ● Designed and developed hyperledger based Insurance Blockchain Application. ● Worked on a blockchain based peer-to-peer lending system with Axisbank. ● Was in discussion on supply chain projects with AirBus and Vodafone. ● Partnered with Factom blockchain to provide active solutions for compliance, identity, transparent assets, and securities. ● Partnered with Ripple blockchain to provide global financial settlement solutions to enable the world to exchange value like it already exchanges information. ● Responsible for complete lifecycle of IT Sales. ● Responsible for complete lifecycle of Software Development (SDLC), Application Architecture Design and Coding. ● Conceptualized strategic product marketing plans for a product or product line through market research, competitive analysis, pricing, customer engagement, and business planning. ● Technical Architecture Design of projects and preparation of Technical Document. ◦ VOIP Application (Symbian/Windows Mobile C++ Platform) for a Canadian Company CATI. ● Worked in Pervasive Database Engine Development (Windows C++) - 10 Months. 2004 A Level ( Advanced Diploma in Computer Applications ) from National Institute of Electronics and Information Technology ( NIELIT). Assam Engineering Institute, Guwahati. 2002 B.Sc. (Physics, Chemistry and Math) from Gauhati University. Biswanath College, Biswanath Chariali, Assam.